Triathlon and single sport coaching with a focus on long distance racing for the experienced athlete looking to meet his/her potential. ~You're stronger than you think. ~Regular open honest communication between coach/athlete is key. As your coach, I genuinely want help you, and I pride myself on being responsive, but I need your feedback! I have many skills but mind reading is not one of them. 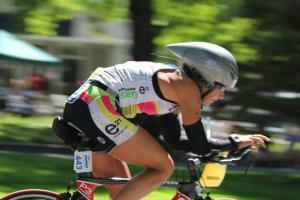 ~Endurance athletes need a huge amount of aerobic fitness and specific strength. ~Heart rate is a good indicator of both stress and aerobic fitness. If you have to go very slowly to keep your HR in an aerobic range, you’re not as fit as you could be. It takes patience and persistence to fix this, but it can be fixed. ~Swim training is commonly undervalued. There are big benefits to starting your race day feeling confident about your ability in the water. ~The most successful athletes set up their lives in such a way as to facilitate time for not just the training sessions but active recovery too. Success. Coach Michelle Simmons has been notified of your message.